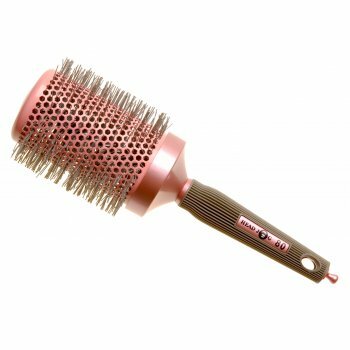 The Head Jog 80 Pink Ionic Ceramic Radial hair brush. 60mm diameter barrel. Designed to style and add shine to client hair. It also features a rubberised handle for easy grip and maximum control. Ceramic and Ionic technology. Vent holes allow warm air to circulate at the roots of the hair to allow fast, effective blow-drying and styling. The collection also features a removable sectioning pick.